Billy was a bratty little boy who bullied and terrorized everyone around him, especially animals. One day he went too far by tormenting a magician's cat, and the magician punished him by turning him into a kitten. Now Billy has to adjust to life as a stray feline with the help of his new friends, a band of alley cats. Written by B&M. I remember watching Billy the Cat a few years ago. 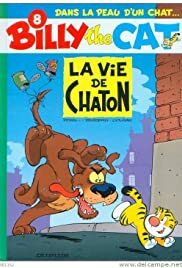 It was a nice and funny cartoon, especially for the kid I was those days. Billy the Cat tells a story about a little bad boy. He once as always was doing some bad things till he has met a wizard who turned him into a cat, so the boy would feel what it is like to be 'the victim'. It is a great childish plot, so why not. I would really enjoy this show once more if they would show it on TV again.